Our full-time Head Coach, Jessica O'Meara, is a registered Tennis Australia Club Professional with many years coaching experience. 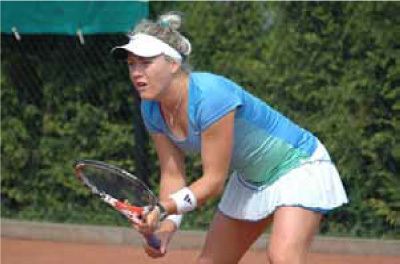 She is an accomplished tennis player competing at the elite level for 6 years including travelling throughout Australia, Asia and Europe on the professional circuit. In addition to her passion for coaching and player development, Jessica is keenly interested in promoting good health and fitness. Jessica is supported by a small team of enthusiastic and capable assistant coaches and caters for all age groups and standards from beginners to advanced. 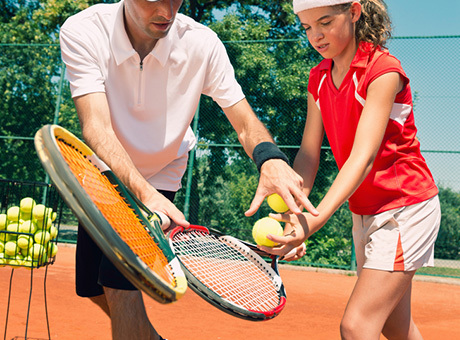 Coaching is conducted in small groups and privately on a one-to-one basis depending upon the requirements of the pupil. We conduct junior lessons after school during the week and on Sunday mornings. Pupils are organised to attend one session each week and in groups according to age and standard. Our development coaching programs aim to train pupils to reach a standard which enables them to participate in Junior Competition. The Vermont South Club has many teams participating in the Waverley and District Competition from A Grade to D Grade. Ladies lessons are conducted on Wednesday mornings and can be group, semi-private or private lessons. Other senior lessons can be organised by appointment. details about the coaching services available. There is a wealth of additional information on Jessica's website www.5ets.com.au. Simply click the 5ETS logo below.